I don’t think the English players can sleep in peace tonight. My heart goes out for the entire Dutch team for their brilliance, effort and courage. Who would have ever thought a non-cricket playing country will produce such a brilliant team to put a strong team like England in this pit! I think we should stop calling them minnows and appreciate the valour they are showing. I couldn’t see them bat in the afternoon and could catch up with the match only at its fag end. But my jaw dropped to see the little corner showing the target 293! Still, the very little that I saw of the match was enough to realise the Dutch came fully prepared for the assault. Not only they batted well their fielding was of high class. 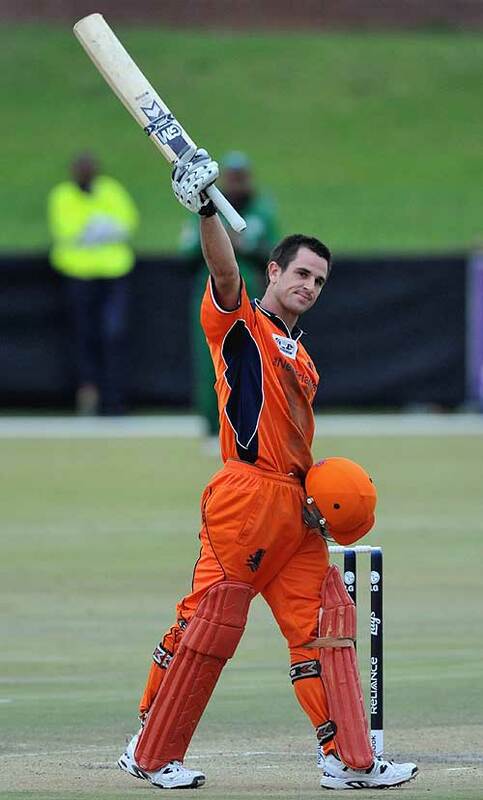 I feel sorry for Ryan ten Doeschate for his best efforts of a massive 119 from 110 balls and his splendid bowling figures weren’t enough to give Netherlands their deserved victory. I would have been happier had the Dutch restricted England in the final overs. After all it was Netherlands who scripted this thrilling match from the word go. I’ll say England is lucky to have averted this humiliation. I hope Netherlands win against all other teams that they play but not obviously against India. I hope they continue to play like this and keep their hopes shining of becoming a test playing nation in the near future. For me you are winners tonight.